Alumni students and their families know how valuable a TIS education is. Because of this, our alumni have always stepped forward and helped support our current students and teachers in a number of ways. Alumni families and students are a growing part of the philanthropic community at The International School. As donors, alumni help provide critical and ongoing financial support for TIS. Last year alone, alumni families contributed over $130,000 to TIS! This included support for the capital campaign to complete Learners’ Hall, our new 4th and 5th grade building. We also enjoy welcoming back alumni families and students to our annual Auction Gala, which features a VIP Alumni Reception beforehand for the opportunity to visit with old friends, TIS teachers and staff. Our Alumni presence was the highest it’s ever been at the 2015-16 Gala, and we look forward to welcoming even more to the event in the future. 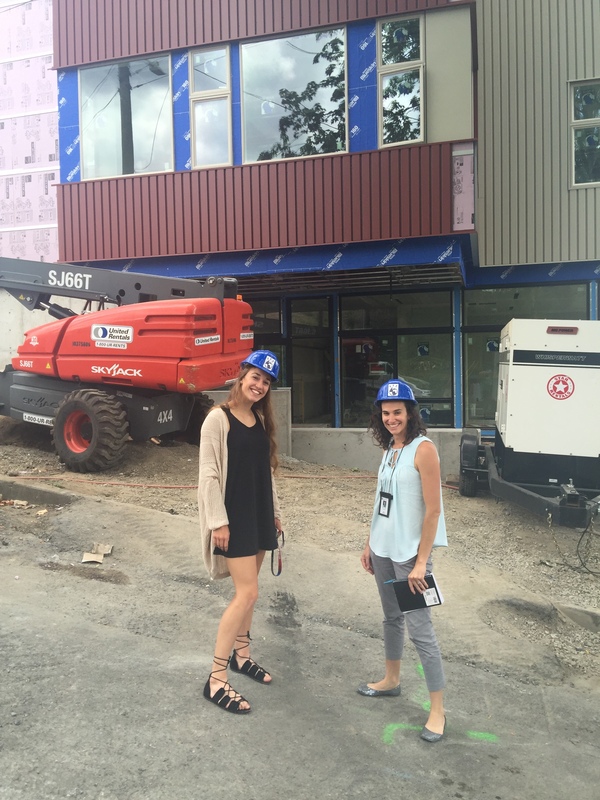 TIS Alumna Nehalem Kunkel-Read (Japanese, ’09) and Alumni Coordinator Lisa Olivares tour Learners’ Hall as it neared completion. Alumni families were key supporters in completing the capital campaign to make Learners’ Hall a reality. No gift is too small – every single gift is a vote of confidence our alumni students and families have in the value of a TIS education. Thank you for your support! Questions about leaving your legacy at The International School? Contact Lisa Olivares, Alumni and Community Engagement Manager, at LisaO@intlschool.org or Lauren Riegelnegg, Development Director at LaurenR@intlschool.org.